SunTex 95 screens are excellent for any of your DIY shading or screening projects. Whether it’s for your porch, privacy screen, or any other sun shading application, SunTex 95 can provide you with the style and durability needed for any project. Blocks up to 95% of the sun's heat. 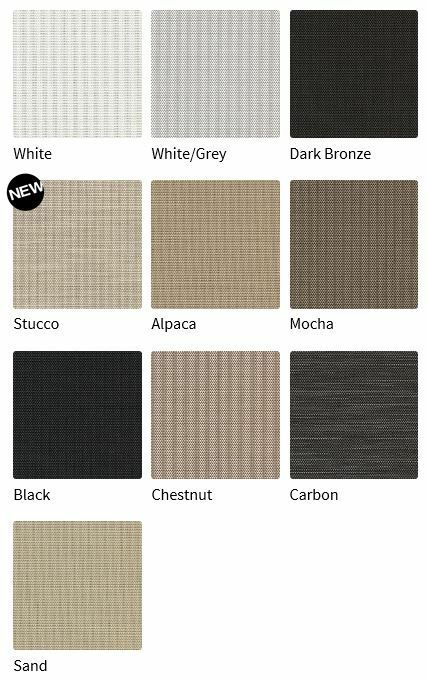 Standard Colors: Dark Bronze, White, Mocca, White/Grey, Alpaca, Black Chestnut and Sand.